A large brood of burrowing owl chicks survey the Colorado shortgrass prairie for the first time. Broods of this size are uncommon and some attribute the size of the hatch to available food supply. 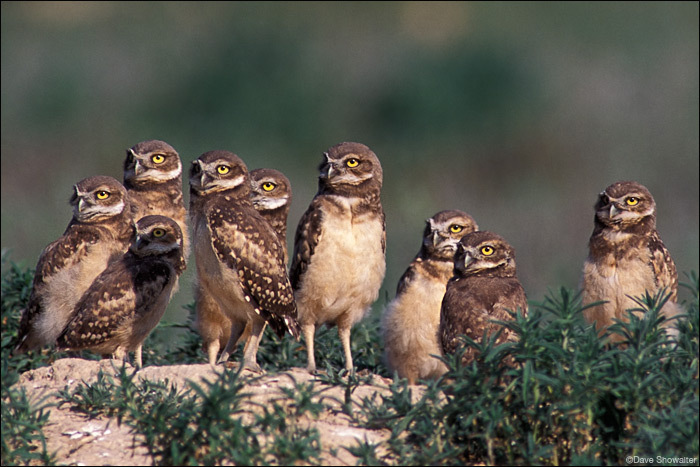 The Western burrowing owl is a threatened species in Colorado. Photo © copyright by Dave Showalter.